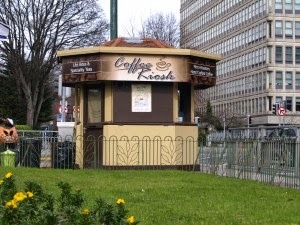 Kiosk (noun): a small structure having one or more sides open, used as a newsstand, refreshment stand, bandstand, etc. On the Boherbuoy side of People’s Park is a little curiosity, the Park Kiosk (pronounced kye-osk as opposed to key-osk by locals) selling provisions such as sweets, tobacco, newspapers, magazines, ice-cream. For generations it served as a little hut of delight from the little child buying an ice-cream to the adult purchasing his tobacco. A snapshot in history it represents an era of small independent convenience stores. Ironically it was its distinctive appearance almost hampered its restoration two decades ago. 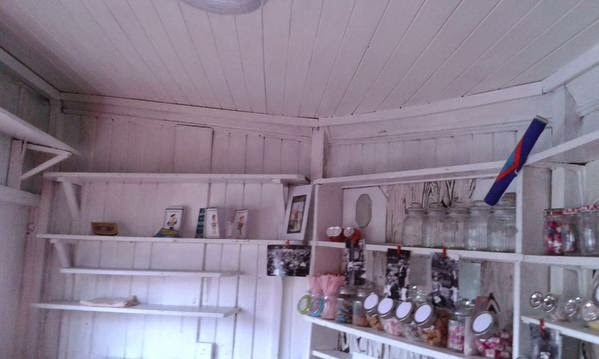 The history of the Park Kiosk is of course linked to People’s Park. This public park was opened on 20th August 1877. The park was formed by subscription in memory of Richard Russell one of the most successful milling merchants. The Earl of Limerick kindly donated the ground under the “People’s Park Act” of 1872 at a lease of 500 years. A memorial committee was established and a fund opened for a park “for the free use and enjoyment of the citizens in perpetuity and with which the name of Richard Russell will be ever inseparably associated.” A place of recreation for the citizens “where they would be free from those demoralising influences which but too often beset them in towns and large cities.” The new park of roughly 10 acres embraced the old Pery Square. Similar to the Georgian Squares of Dublin like Mountjoy this was a private park only accessible to keyholders, i.e. the residents in the townhouses facing the square. So it was that Limerick’s only square was converted into Limerick’s first public park. 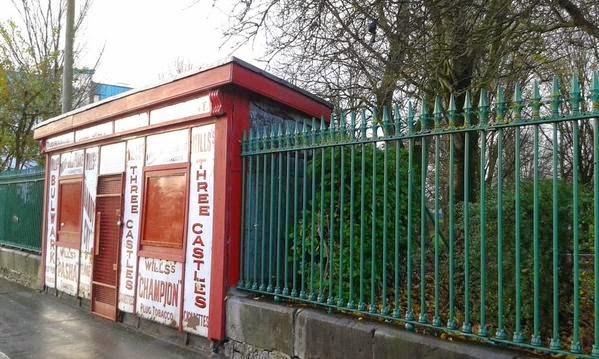 A kiosk in Ballsbridge known as 'Moran's Kiosk' hit the headlines in 1989 when it was bought for £132,000 by the late shopping centre developer Phil Monahan making it one of the most expensive properties in Ireland. 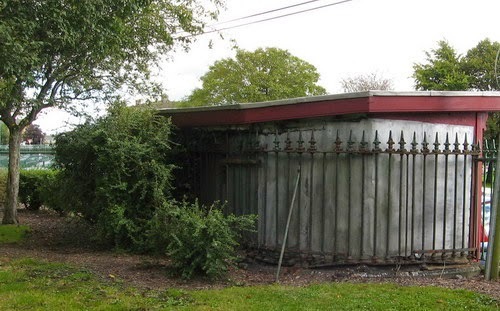 This charming hexagonal kiosk erected in 1920 was bought for €200,000 in 2012 despite the economic climate and is back on the market for those with a penny or two to spare. The kiosk at the junction of Adelaide Road and Leeson Street Lower would have to be my favourite. Built in 1929 it is one of Dublin's most familiar landmarks. 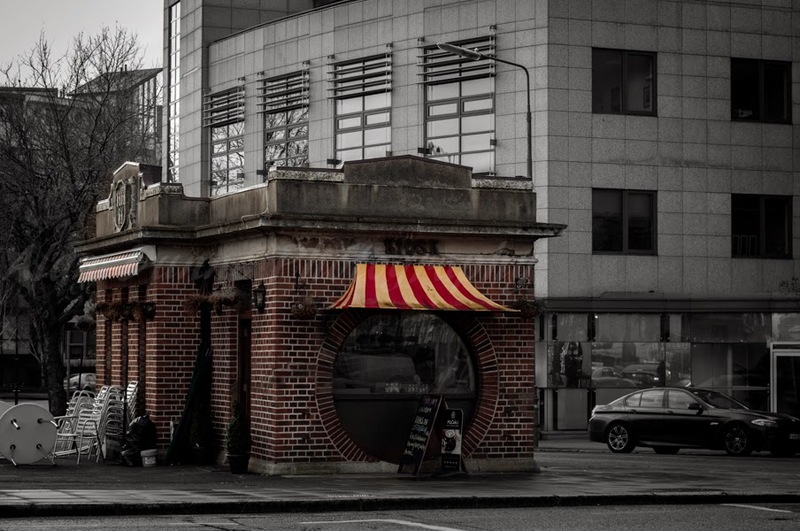 When I was a child my father had to send time in the Royal Victoria Eye and Ear Hospital and my mother had to drive the unfamiliar streets of the city for us to see him and this kiosk was a sign that we were in the right direction. premises. The kiosk was never short of passing trade with the nearby train station and Prospect Hill Clothing Factory (originally Tait’s Clothing Factory) on Lord Edward Street and of course those enjoying the park. Despite its success the Park Kiosk sadly closed in the 1980s. Since the kiosk predates the extension of People's Park it's railing went around the structure set in limestone coping stone. These are the last remaining part of the original wrought iron railings with decorative cast iron spearhead finials, collars and husks. The kiosk is a single storey, three-bay structure consisting of a single room. The door is flanked by a square-headed window ope (h=91.4cm, w=101.6cm). It is semi-octagonal in plan with a frontage 6.1m in length. 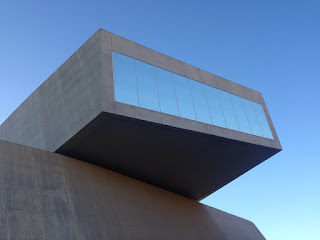 The roof gently slopes allowing extra head height. The front elevation of the kiosk is in a charming traditional shopfront fashion to emphasis it's commercial nature framed with timber pilasters finished with scroll brackets with timber fascia and signboard. This attractive hut uses simple materials including black paint to create a stallriser. chocolate bars and sweets. The back wall had a hatch which opened onto the park. This was a Limerick child's gateway to ice-cream from choc ices and 'Golly Bars.' The customer entering the doorway was greeted with a glass-top counter contained tobacco and cigarettes. Newspapers were laid out on top of the counter. The little floor space around the entrance was tiled. 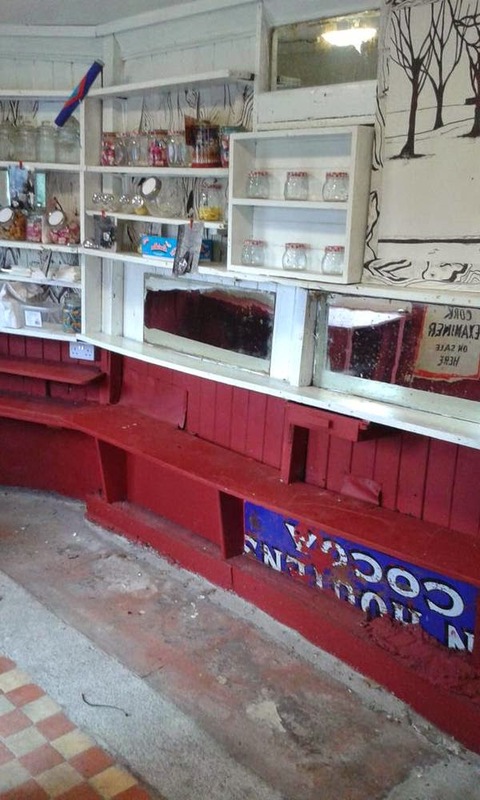 The flooring behind the counter was bare concrete painted in red (photo no.7). As part of Limerick City of Culture the Park Kiosk is playing host to a variety of art installations; an original idea by Maeve McGrath.The first month's occupation by an artist began in November and finishes in March with a music installation by Ed Devane http://www.eddevane.com/. 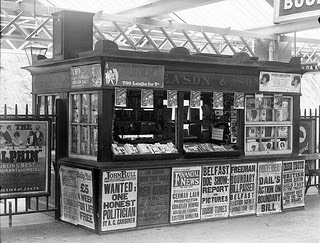 As the Vice-Chair of the History & Heritage pillar I was asked by the Visual Art Legacy & Commissioning Project Manager Michael McLoughlin to host historical discussions inside the kiosk before Christmas which was a wonderful opportunity to gather memories from older visitors of the layout and fondly remembered staff such as Kay Carney. Some were speechless stepping inside again; the power of an almost forgotten childhood space. What must be one of Limerick's tiniest buildings is still held in such affection and regards. I would hate to see it's tiled-floor denied daylight for so long again. Irish Builder, 1 Sept 1877, p.252.